A ‘common assumption’ may be just that: an assumption, unless backed up by evidence. It would obviously be of greater importance, if the ATSB is also clear about that, and that I can not judge. However, the ATSB themselves came up with the possibilty of a ‘northern hook around Sumatra’ in their first report despite the 18:40 phone call indicating either a turn south or period of descent. I take Agus’ statement, “another military radar suggestion said that it was once detected in the Andaman Islands”, as referring to own radar rather than to Singapore radar, that would not have been shared with Indonesian military. This implies some radar must have operational, either Sabang or Lhokseumawe (with similar range). As far as I’m aware the IG has no other information on Indonesian radar (as indicated by a news.com.au article). Obviously, Penang radar was operational, and I think Gong Pedak may have spotted the initial diversion and was thus operational too. I find it difficult to believe that Z could safely assume all Indonesian radar was switched off, on the other hand. Z most probably didn’t cross indonesian airspace for a very simple reason that he didn’t need to. Hello All- Does anyone know if the ATSB performed a simulation/reproduction of known cargo and takeoff environment/temperature/humidity conditions similar to what NIST would perform to see if there could have been any issues? Also, I find it important to note that there can only be either a loiter scenario or a circumpassing-Sabang scenario. There can not be both. This is because if MH370 passed the 19:41 circle still north of Sumatra, it must have flown directly through Sabang/Aceh radar range (or the Isat data are spoofed). And if MH370 did not bother about Indonesian radar, why not directly overfly Sumatra and try and leave Penang radar range asap? Perhaps the plan was to obfuscate the ultimate destination, and in doing so a departure to the north would give the desired impression. A direct overfly of Sumatra would lead to an obvious conclusion that the aircraft was headed into the SIO. Deception was most the likely intent. @Barry Carlson, There’s a lot about the route around 18:25-18:40 that doesn’t really make a lot of sense. Why did the plane turn north at around 18:25 if it was intending to go south? 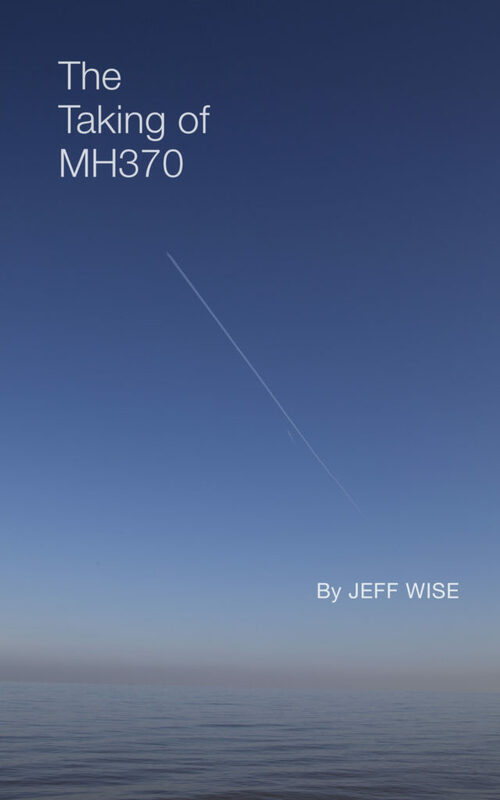 If he wanted to obscure his final endpoint, why did he overfly Malaysian radar? Presuming he didn’t know that Indonesian radar was not operational at that hour, why did he fly a route that, no matter how you slice it, should have been visible no matter where the FMT was. Possible, but in that case it would make the least sense if the pilot was risking to be spotted by Indonesian radar. Z was either worried about Indonesian radar or he wasn’t. It is a simple binary issue. If he was, then he had to fly around Ache at greater than 200Nm radius from Ache. Thus the “nothern FMT” makes sense. If he wan’t, then he could overfly Sumartra via Medan directly from Penang. In which case, a “southern FMT” makes sense. (b) what was his objective. The only sensible fears are two. If (a), then flying up the Strait and around Ache makes some (but little) sense, because it adds almost an hour’s worth of fuel and a lot of miles wasted if his true intent was to ultimately go to the SIO anywhere near 30S90E, or similiar. I don’t buy it as a “viable use of resource (fuel) strategy”. Interception by whom, (1) Malaysia or (2) Indonesia, or (3) both ? If (1), then flying up the Strait “virtually invites” a tail chase, and possible / probable interception / shoot-down by the RMAF (if we assume that the Government “knew” he was a “threat” in some (as yet undetermined) way). If so, from Z’s point of view, I don’t buy it as a “viable “survivable” strategy”. If (2), then flying up the Strait goes away from the TNI-AF fighter bases in southern / central Sumartra, making a tail chase impossible, so that makes sense. But you have to ask, was he “more worried” about being intercepted by the TNI-AF than he was by the RMAF ? I can not swallow that – it is utterly non-sensible. The RMAF may have had “good reason (if ordered by the government)” to intercept him, but the TNI-AF would have “no reason whatsoever” to intercept him, even if they could actually intercept him. Which makes (3) a non-starter. (1) From a purely “survivablity” viewpoint, flying directly into Indonesian airspace as soon as possible from Penang is the “optimum” solution. (2) From a purely “vanish” viewpoint, there is nothing to be gained from “initially vanishing” north of Ache, rather than “vanishing” west of Sibolga. The essential difference between the two, (assuming he had no idea of BTO’s and BFO’s) is that vanishing north of Ache only creates “initial” confusion as to his “true destination”, with MANY viable “possibilities”, but realistically, he would know that there would be a massive search, and if he went north, wherever he ended up. the aircraft “would be found eventually”. Thus, if he intended to “vanish for all time”, going north, is just plain stupid, period. Z was not stupid, far from it. So, if he intended to “vanish for all time”, going west south west, out over Medan, maximises both his chances of “escape survivability”, AND, puts him in a “perfect position” once out of range of Indonesian TNI-AF Radar at Sibolga (ie, around UPROB) “to go in any direction he chooses”, from an available “departure sector” of about 170 true to about 240 true. I think Z has issued the Malaysian Government a challenge, all of us actually. Find me if you can !! You can’t find me – not even after three years ? Previously, I had assumed that Z knew that the TNA SatRad units were not operational on the Sabbath, and the plan was to head WNW on the N571 airway, while descending to about FL20, then turn N at the KL FIR boundary, and shortly before IGREX head W into the CHENNAI FIR to lose Thailand or Myanmar radar if they were tracking. A step climb back to FL350+ then took place. There were no operational PSR units in the eastern CHENNAI FIR at the time, and the aircraft is turned to the south to pass 12NM east of VOCX (keeping outside Indian territorial airspace). The waypoint for Wilkins Runway – YWKS – (66°41’27″S 111°31’25″E) is either selected, or entered in the FMC. If this was a memory item, there is no need for precision! I have had different thoughts on how this played out over the past 2+ years, and had even considered a descent to 1500ft to avoid Sabang TNA SatRad unit, but that created problems with the 1941 Arc BFO. So, however you cut it, the BFO interpretation is not always a clean slice. Too many variables involved, and your guess or mine could equally be right or wrong. The DSTG chose level flight and a specific ground speed in their analysis, but until the aircraft is found, they are neither right not wrong. I find it difficult to make deductions from the overall intention of the flight route as this is still a matter of much debate. Imo it is a better approach to make deductions from the early flight segment, and this means MH370 had every opportunity to fly through Indonesian FIR early in the flight, but it didn’t. There also seems to be a great deal of dissatisfaction with the military management in Penang (for example, this was one of the points of the recent MH370 documentary). My point therefore is that the pilot of MH370 was aware that there was little risk of interception within Malaysian FIR to the point that it was part of the plan to demonstrate just this vulnerability. Surely, Indonesia would have intercepted an unauthorised plane within its FIR. There is plenty of evidence for this. Unless there is clear evidence (which I haven’t seen) to suggest that the pilot of MH370 could safely assume that no Indonesian radar was operational at the time, I think it is more logical to assume that he could not. @Nederland, There have been many incidents in which Indonesia intercepted planes that wandered into its airspace without authorization, but I think these all took place during the day. In my previous post the reference to FL20 should have been FL200, and the final words should been, “neither right nor wrong”. The assumptions about Indonesian radar being active at night or not, and /or the “command chain” at night being capable of responding quickly or not, are interesting, and on balance, definitely favor overflying Medan. Given the fact that Z would be a high level fast airliner on an air route, crossing Sumatra in a matter off a few tens of minutes, as opposed to a slow aircraft, at lower levels, and not on airways, and in daylight, approaching land. In Z’s case, the time to react and scramble is minutes at best. In the low level slow intruder case, there is ample time to scramble fast fighters to intercept. During the day Generals are on duty in the command centre(s), at night they are not. If you do not understand the significance of that last statement I don’t think you will “get the real picture”. I know from very personal experience as a duty watch officer from midnight to 8am local during gulf war one, that you do not get the boss out of bed on a fuzzy maybe that does not in any way appear to be a real threat (but you watch it like a hawk with one hand on the phone at all times). Hence, when viewed from Z’s viewpoint, even if in the worst case, Indonesia did scramble from the fighter base in the south, they could not intercept him before he was out of range anyway, simple plotting and maths, do it. Consequently, it definitely would be a “safe bet”, to overfly Medan, compared to risking a RMAF tail chase, by virtually taunting Butterworth to respond, and chase you up the Strait. Your arguments fail to address the simple notion that if Z wanted to disappear on flight to that the SIO, he would have selected a flight to Europe or Jeddah. In either case the left turn would be after he safely passed through any airspace capable or wishing to intercept him. There is no logic to support the diversion of a flight to Beijing for that purpose. Good grief. Closing comments, please add your thoughts to the most recent post. Thank you!